In a move designed to save real estate agents and brokers money and boost their own bargaining power, seven Realtor associations in coastal North Carolina are joining forces to create a regional MLS. The North Carolina Regional MLS LLC was incorporated earlier this month and is on course to go live in 2016. Of the nation’s 882 MLSs, only about 65 are regional with two or more associations involved, according to research by real estate consultant Kevin McQueen of Focus Forward Consulting. Due at least in part to strict “core standards” for associations put in place by the National Association of Realtors earlier this year, the number of local associations is expected to drop from about 1,400 to about 1,000 within the next decade. When associations dissolve or merge, many will merge their MLSs, McQueen said. MLSs also face pressures to consolidate from their large broker members, many of whom must join multiple MLSs in multiple markets, resulting in higher costs and aggravation. 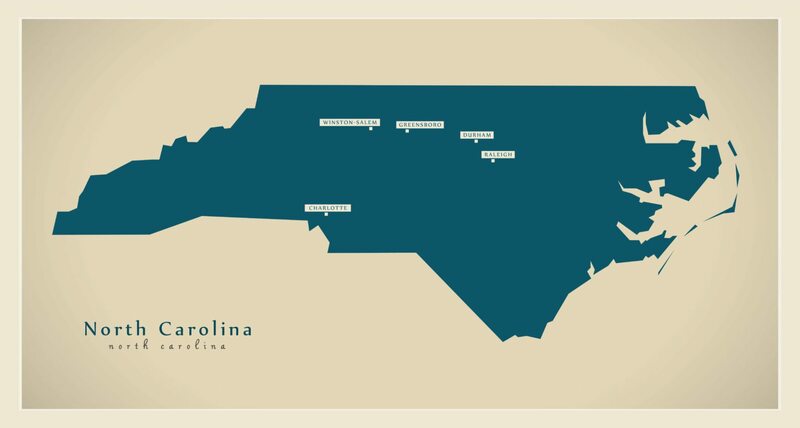 At least three of the seven associations that worked together to form the North Carolina Regional MLS have signed an operating agreement governing it: the Wilmington Regional Association of Realtors with nearly 1,700 members, the Jacksonville Board of Realtors with about 560 members, and the Duplin-Sampson Association of Realtors with 86 members. The other associations involved are the Brunswick County Association of Realtors, Topsail Island Association of Realtors, Carteret County Association of Realtors, and the Neuse River Region Association of Realtors. Combined, the seven associations include more than 4,000 members in southeastern North Carolina. There are also some 10 other associations that have expressed interest in joining the regional MLS, according to Royce Bennett, one of the new MLS’s managing directors. Should they sign up, North Carolina Regional MLS could cover the state’s entire coast, he said. “Our goal is to give our members a more efficient platform to market their properties in a larger region and to help hopefully reduce costs because we have a lot of regional overlap here,” said Bennett, who is also a past president of the Jacksonville association. All seven of the associations currently run their own MLSs. Bennett estimated that between 20 and 25 percent of the Jacksonville association’s members also belonged to another association for MLS access. MLS consolidation will also help the associations pack a bigger punch at the bargaining table, said WRAR 2014 President Jody Wainio in a note on the Wilmington association’s website. “Until now, the size of our membership did not allow us to negotiate with the best platforms available,” she said. North Carolina is no stranger to MLS mergers. The state is home to at least three other regional MLSs: Triad MLS, Triangle MLS and the North Carolina Mountains MLS. Bennett sees a national trend toward regionalization in the last several years, which he said has helped create a “better atmosphere” for consolidation. Technology advances have also helped, he said. “Technology is at a point now where it’s much more realistic, more cost-effective [to form a regional MLS.] Startup costs are a whole lot less than they used to be. It wasn’t that long ago that you had to download software to have an MLS,” Bennett said. Which is not to say that members no longer have any technology concerns. So far, Jacksonville members’ worries about the MLS merger revolve around which MLS platform the regional will use, its cost and what the learning curve will be, Bennett said. “At this point, most of those questions can’t be answered,” he said. North Carolina Regional MLS’s first board meeting will be on Jan. 28. Each founding association will choose two managing directors to serve on the NCMLS board. At the meeting, the board will discuss how it will select an MLS platform vendor and start coming up with a business plan. Directors will also consider whether to hire a consultant to help with both tasks, Bennett said. The MLS has decided on a “wholesale” model where NCMLS would sell the MLS service to each association based on number of users rather than bill each member individually. The MLS has yet to determine the per-member fee, Bennett said. Regardless of that fee, associations will be able to charge whatever they like — an arrangement that has caused some dissent in other MLS regionalizations because it potentially opens the door to member poaching. “We looked at other regional MLSs and we felt that the wholesale model was the way to go,” Bennett said. Jody Wainio of the Wilmington Regional Association of Realtors and Frank Butler, president of the Duplin-Sampson Association of Realtors, declined to comment for this story. Brenda Roney, association executive of the Carteret Association of Realtors, also declined to comment, except to say that the board of directors will vote on the regional MLS operating agreement on Jan. 15. The Brunswick County Association of Realtors, Topsail Island Association of Realtors and the Neuse River Region Association of Realtors did not respond to requests for comment.